Sofiella & The Handsome Husbands are an independent 5-piece (more photos including the wonderful, Anni, on viola, coming soon) concocted through a mutual penchant for banjo twang and good whiskey. Their music swings between sweet harmony-heavy front porch folk, and foot-stompin’ hillbilly barn-burners. 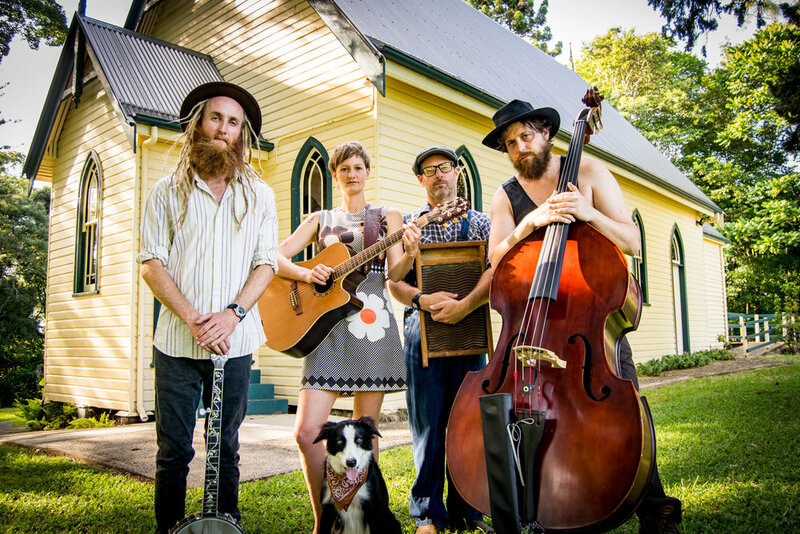 After supporting the likes of esteemed Canadian folksinger, Old Man Luedeke, and sharing the bill with bands such as Elliott Brood and Ozomatli, their wandering ways have found roots on a sleepy hill in the Byron Shire, NSW. Sofiella & The Handsome Husbands will be packing the van with banjos, washboard, guitars, double bass, viola and drums and coming to a venue near you. Do come visit. We promise we’re not a cult.